Millions of people have turned their attention to tablets to satisfy their computing needs. In fact, nearly 200 million tablets were sold last year, 62 percent of them being Android devices. 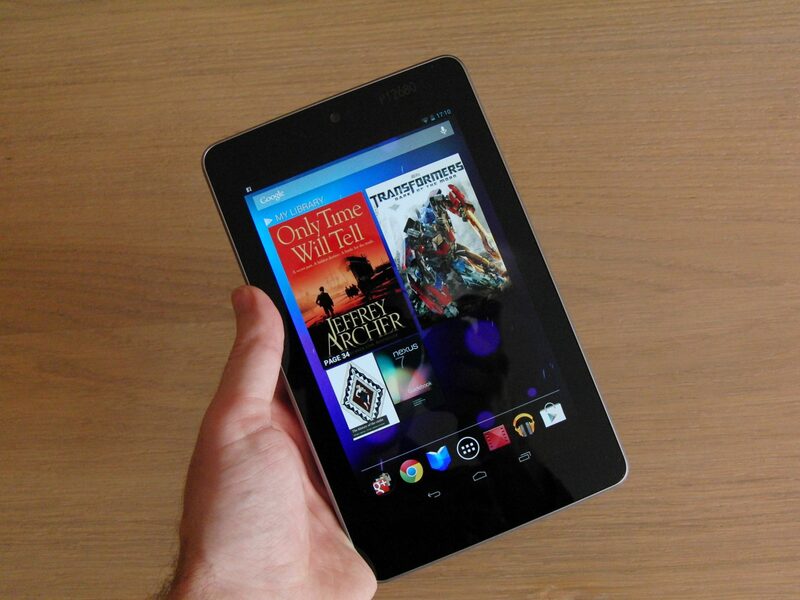 One of the most popular, and most affordable, tablets available right now is the Google Nexus 7. Let’s see how this tablet stacks up to two other popular devices: the Samsung Galaxy Note 8.0 and Apple iPad Mini. The next generation Google Nexus 7 tablet does not have the childish feel to it that its predecessor had. This is a grown-up’s tablet. Key specs include Snapdragon S4Pro processor at 1.5GHz; 2GB RAM; 5MP rear camera; and the ‘retina class’1920×1200 IPS screen is equivalent to 323ppi, which is the highest “pixels per inch” of any tablet. Though the screen is 20mm narrower than the iPad Mini, the tablet’s dimensions make it perfect for an inside jacket or back pocket. All of this means that the Google Nexus 7 tablet has an outstanding HD display that presents vibrant colors. In gaming tests, the Nexus 7, with its Snapdragon S4Pro processor, proved to be twice as fast as its predecessor. In fact, all told, the Nexus 7 is slicker, faster and sleeker than any other 7-inch tablet currently on the market. Moreover, it has been leaked that Android will roll out its new 4.4.3 Kitkat OS in mid-April. The new OS is supposed to fix a number of bugs present in the preceding version of the operating system, including one that drains the battery and uses a large amount of power due to the high CPU usage regardless if the camera is in use or not. Google will likely roll out the fix for the Nexus 7, thereby improving its operability to an even greater degree. Now is the perfect time for consumers to try out the Google Nexus 7. Cell phone provider T-Mobile recently announced that it offering all of its LTE-powered devices, such as the Nexus 7, at the same price as their Wi-Fi only counterpart. The company is also giving users an additional 1GB of free Internet data on their tablet each month for the rest of the year. There’s no better time to try out this device. With greater dimensions than the Google Nexus 7 tablet, the Samsung Galaxy Note 8.0 is a bit bulky and not necessarily as comfortable to hold. Its bigger display (8 inches versus the Nexus 7’s 7 inches) sports 1280×800 pixels, which results in a poorer resolution than the Nexus 7. Speaker configuration is odd with the Samsung. Due to the portrait configuration of the Note 8, users need to be mindful of not covering the lower speaker when watching video in landscape. Unlike the Nexus, the Galaxy Note 8.0 does come with a microSD port for added memory. However, the Nexus already comes with built-in 32GB storage versus Samsung’s 16GB. A great number of features are consistent across both the Nexus 7 and Samsung Note 8.0, but with a greater price tag for less overall memory, one has to consider the Nexus 7 to be the better buy of the two. The Apple iPad mini comes with a 7.9 inch, 1024x768p IPS display. At first blush, one can see this is likely to provide poorer resolution than the display offered by the Nexus 7. The Apple iPad Mini also costs about 30 percent more than the Nexus 7. With only 512 MB of RAM, the available memory of the Apple iPad Mini pales sharply with the 2GB present in the Nexus 7. However, the battery life of the iPad Mini is comes in with a better performance in comparison to the Nexus 7 and Galaxy Note 8.0. The question becomes, though, do you want a product that provides a great deal of battery life or do you want one with greater performance that looks good in the process? If you’re looking for a tablet that is affordable, has great memory, an outstanding display and long battery life, look no further than the Google Nexus 7.